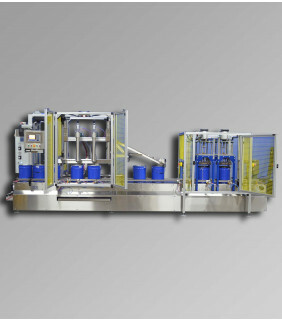 The ABA-FILL-BFGEA-X is an electronically controlled, automatic, explosion proof net weight filling machine which is designed to bottom fill containers from half pint to 5 gallon pails. 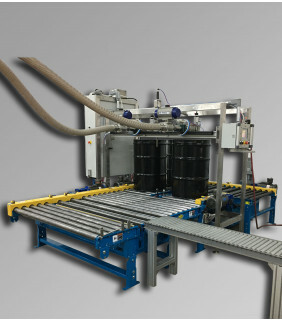 The ABA-FILL-BFxEA-X machine is an electronically controlled, fully automatic, explosion proof, volumetric machine which is designed to bottom fill half pint cans through 5 gallon pails. 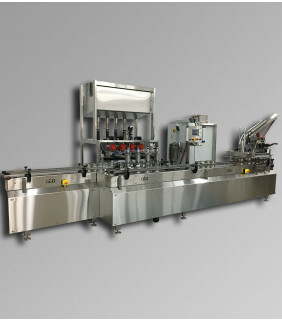 The ABA-FILL-TFGEA-X is an electronically controlled, net weight, automatic filling machine for an explosion proof area, which is designed to top fill half pint to 5 gallon containers. 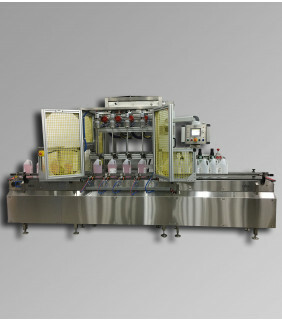 The ABA-FILL-TFGES-X is an electronically controlled, net weight, semi-automatic filling machine which is designed to top fill half pint through 5 gallon containers. 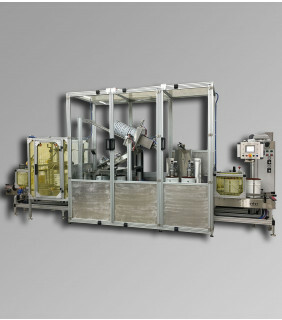 The ABA-FILL-TFxEA-X machine is an electronically controlled, automatic, volumetric, explosion proof machine which is designed to top fill open top containers utilizing one or five gallon double acting pumps. The ABA-FILL-TFxPAX is a pneumatically controlled, automatic, volumetric, explosion proof machine which is designed to top fill open top containers utilizing one or five gallon double acting pumps. 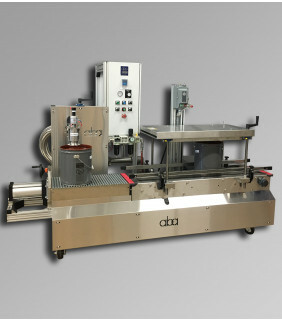 The ABA-TFGEA-DRUM-X is an automatic, electronically controlled, top fill, net weight explosion proof filling machine designed to fill drums. ABA is becoming known within the industry for manufacturing explosion proof machinery. We have brought our signature quality and customizable equipment to a new level and are proud to offer our customers the safety of intrinsically safe or explosion proof machines. 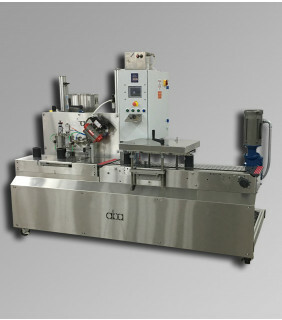 Without sacrificing the caliber and customizable options we are known for, we have designed and built machines for both C1D1 (Class 1 Division 1) and C1D2 (Class 1 Division 2) areas, and also manufacture additional equipment with explosion proof designs. 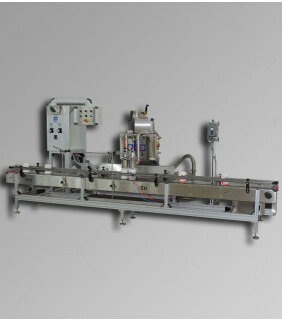 Our explosion proof lines feature machines from all categories: both semi and fully automatic, both volumetric and net weight, and both pneumatically and electronically controlled. Many of our machines showcase innovative features such as an intriniscally safe mouse for controlling the HMI. This brilliant tool negates the need for an explosion proof touch screen cover and provides a way for operators to quickly and easily control the machine.